Shopping on Victoria’s north side for practical storage solutions, dorm bedding, kitchenware and modern home décor ideas? 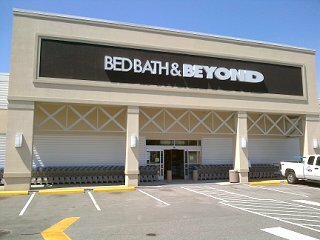 Shop all the brands you love at the Bed Bath & Beyond® store near you; it’s in the Mayfair Shopping Centre, which is between Blanshard& Douglas Streets at the Finlayson Street intersection. Whether you’re touring “The Garden City”, have come in on the Victoria Clipper Ferry, work in the area, are new in town or have lived here for generations, it’s easy to get everything you need for your home at this nearby Bed Bath & Beyond® store located at 775 Finalyson Street, Victoria, BC V8T4W4; (250) 380-1114; friendly and knowledgeable associates are ready to assist with your selections. Going to Brentwood College School, University of Victoria or Vancouver Island University? Wherever you’re headed, the college checklist makes it easy to get campus-ready; find twin XL sheets, tailgating supplies and laundry solutions along with electronics and dorm essentials.